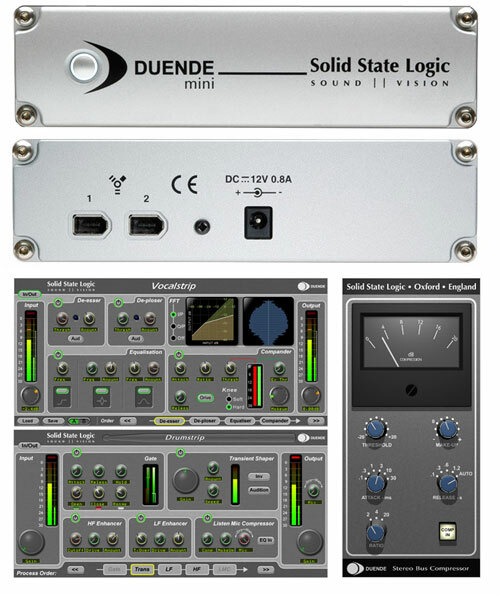 Solid State Logic Duende Mini Studio Pack - Duende Mini with 32-channel option, stereo bus compressor, X-Compressor, X-EQ, Drum Strip and Vocal Strip. 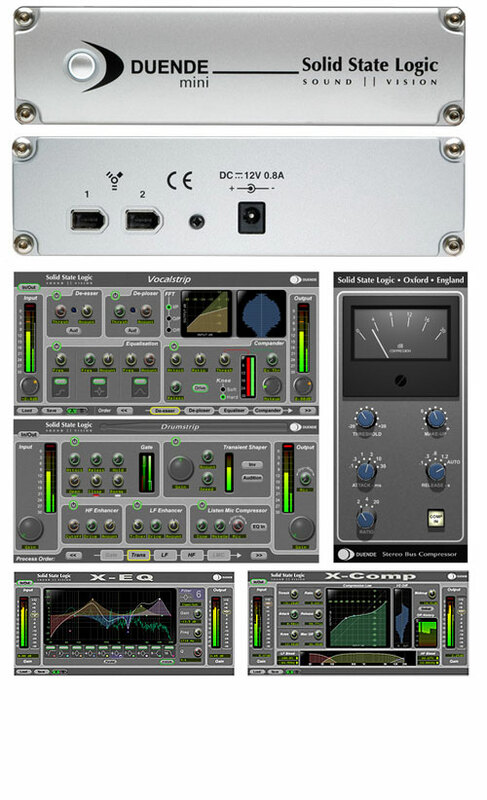 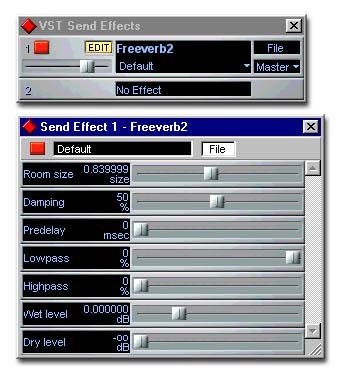 DSP-powered SSL processing in a compact desktop format. 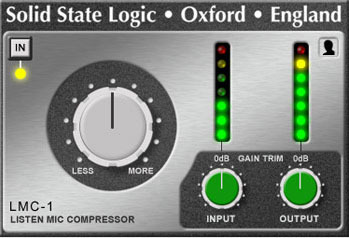 The legendary sound of SSL for digital audio workstations, up to 32 channels of console-grade SSL EQ and dynamics processing, powerful DSP engine based on SSL's award-winning C Series mixing consoles (E and G series EQ and dynamics), relieves the plug-in processing burden on your computer's CPU, single FireWire connection for fast setup, run two Duende Minis for up to 64 channels of processing. 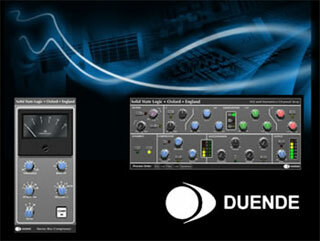 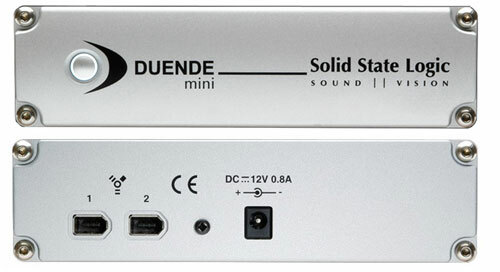 Expandable with optional SSL plug-ins for the Duende platform.